So your best friend is the next bride to be! Well, of course, the wedding day is the most special day for her. But, you can make the bachelorette party an equally special day for her where you and your friends can celebrate her bachelorette altogether. If you have taken the responsibility of organizing the bachelorette, then why not do it in a different style? How about celebrating on a party bus? 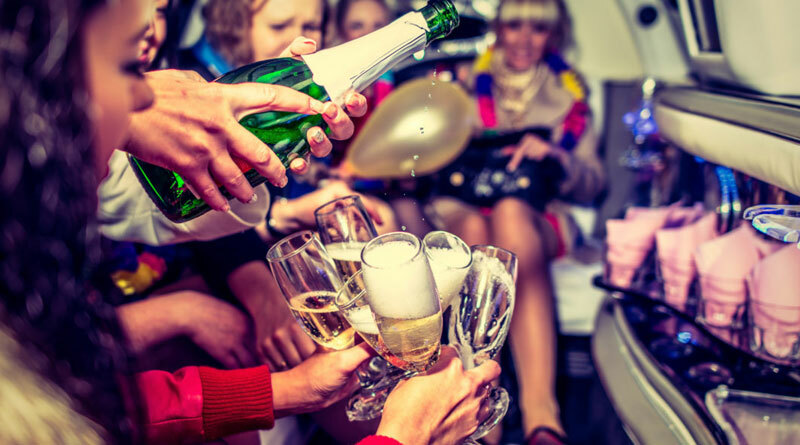 Yes, you can choose a party bus rental for celebrating the party in style. It is also recommended that you hire a party bus from Crown LV. We are among the reputed limo rental companies in Las Vegas. We have a wide range of party buses that are spacious enough to accommodate a small to big party size. Our mini-van can make room for up to 15 passengers, while our bigger fleets can accommodate up to 40 passengers at a time. All the party buses in our fleet are equipped with standard amenities and are also well-maintained so that your ride is hassle-free. The limo-style leather seating, restroom facility, and air conditioning systems enhance the comfort factor of the ride. Our party buses also include a dance floor so that you and the other bridesmaids along with the guest of honor (the bride to be) can tap your feet to your favourite tunes all night. We can also arrange for the best catering in the city making this special occasion even more special. Moreover, an element of privacy is also maintained with tinted glass. The driver’s seat is also separated from the main compartment where you can enjoy your party with your friends in an uninterrupted way. To add to the benefits, you can book our party bus rental services for bachelorette party at pocket-friendly prices. Booking can be made online via website and via call both.